Members of the 3K Sarajevo wheelchair basketball team during a break from practice. Most of the players were wounded as civilians or as soldiers on the frontline during the 1992-95 war. The young man in the foreground was shot by a sniper when his parents let him go outside to celebrate his thirteenth birthday. 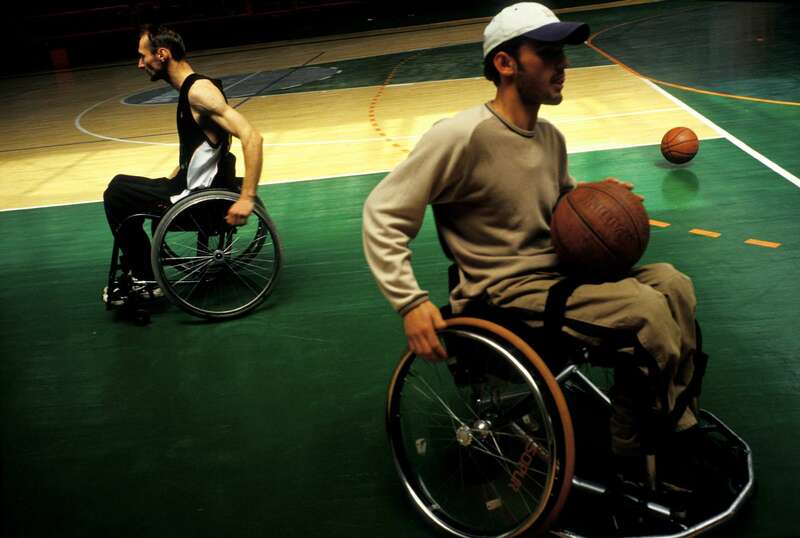 Bosnia now has eight wheelchair basketball teams, made up almost entirely of young men wounded during the war.